I am a published songwriter who writes catchy hooks and melodies in the styles of Pop, Country and Rock. I have performed live on Breakfast Television in Toronto, Global News at Noon nationally, as well as in music videos shown on CMT. My songs have been recorded by different artists and used in television shows and film. 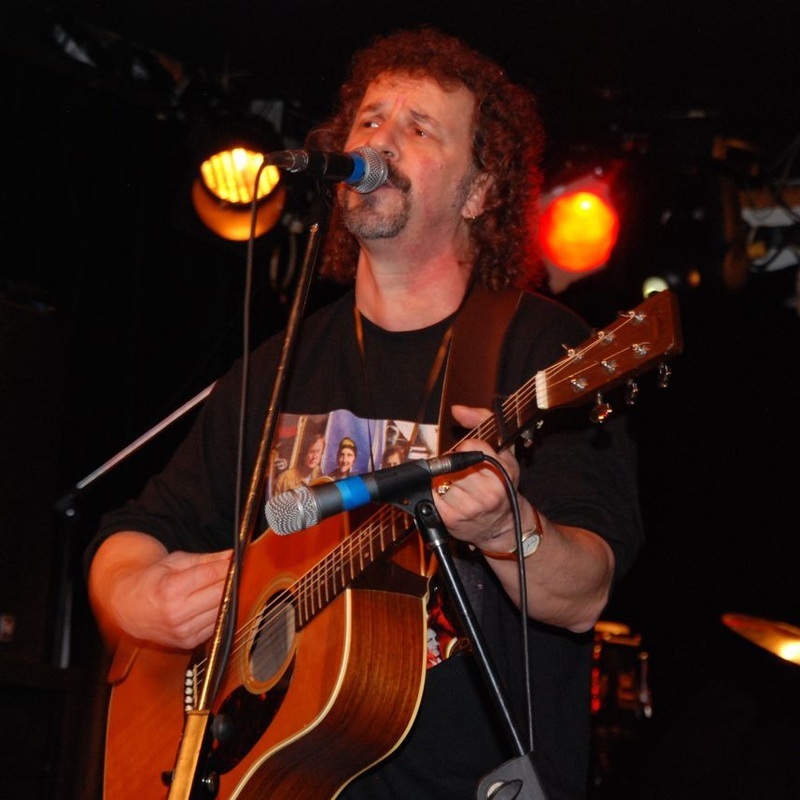 I have performed in many different bands over the years in the genres of country, pop and rock. My influences include such great harmony bands as The Byrds, The Eagles, Blue Rodeo, Poco, CSNY, Pure Prairie League, Alison Krauss and Union Station, as well as the great artists and songwriters Neil Young, Jackson Browne, Garth Brooks, Dan Fogelberg, Joni Mitchell, Rob Thomas and so many more. I have been the rhythm guitarist/mandolinist and songwriter for Juno nominated Canadian Country Artist Diane Raeside for the past 20+ years, and continue to perform with Diane whenever possible. I have written a couple of her radio singles, including the title track to her first CD titled “Since You Went Away” as well as the recent single titled “It’s A Miracle”, with both songs receiving good airplay around the world. I have worked and recorded with such great artists and musicians as Michael Fonfara (Foreigner, Electric Flag, Rhinoceros), Joe Mavety (Maryanne Faithful, Joe Cocker), Rick Gratton (Rough Trade, Ian Thomas), Joe Agnello (Cameo Blues Band, David Wilcox), Tony Lester (Boys Brigade, Arson) and many others. I also compose instrumental tracks for several different production music libraries, and my tracks are being licensed by music supervisors and producers regularly. I have a very friendly personality and am not shy about going after the things that I want in life. But it has to be on my terms; with total honesty, positive energy, honor and good intentions. I will not step on anyone or anything to get something that I want, because I believe that using others is not the way of the Universe. We need to help and nurture each other so that we can all realize our potential. Even though we are all different, we are all humans will feelings. We all came into the world the same way. We all love, cry, laugh, hurt, rejoice, celebrate, feel despondent etc. We were each put here for a reason, although many people have yet to discover what their purpose is. Mine is to make music (which comes easily for me) and to make a positive impact through my music and my actions. I am involved in the music industry as a songwriter, composer, performer, producer, jingle writer, voice over talent, studio musician, publisher, promoter and licensing agent. My first album of original songs is available on all the major online digital sites (such as iTunes) and I am currently working on my second and third albums scheduled for release later in 2016/2017. There is SO MUCH great talent that exists in the great pool of unsigned artists and songwriters. Rick’s advice to others: Be true to yourself, follow your heart and NEVER give up your dream! EVERY SINGLE PERSON ON THIS PLANET (AND BEYOND) IS VERY SPECIAL!!! Always ALWAYS follow your dreams, and don't ever give up. We can change the world if we all put a little effort into it. Music, Songwriting, Playing my Guitar and Mandolin, Peace, Love, Kindness, Happiness, Nature, Animals, Spirituality, Thunderstorms, Fishing, Hiking, Photography. For every person on this Earth to treat everyone else the way they want to be treated. It's the Universal Law. No more wars, no more pain, no more suffering. Look after Mother Earth the way she has looked after you. Treat her with respect as She has nurtured and provided for you.